Overheat / Fire Protection Panel -200C series. Notice fwd & aft cargo smoke detectors. 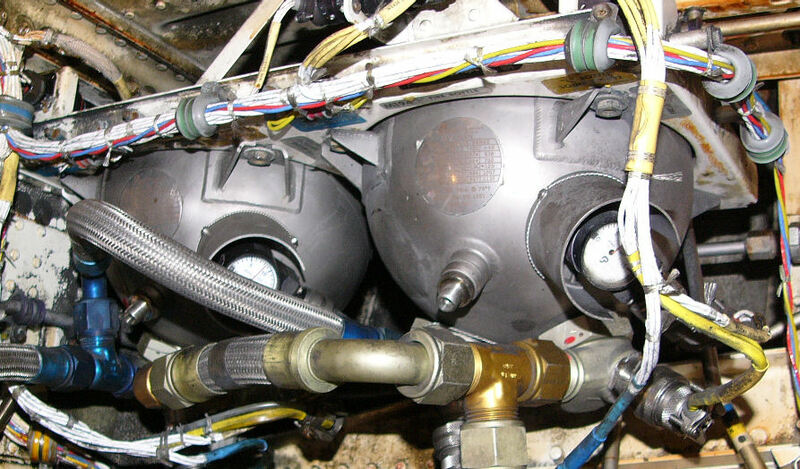 Engine, APU & Cargo fire extinguishing – Hot battery bus. There are two fire detection loops in each engine. Failure of both loops in one engine will illuminate the FAULT light. The individual loops can be checked by selecting A or B on the OVHT DET switches. Close engine fuel shut-off valve. There is a wheel-well fire detection system but although the engine fire bottles are located in the wheel-well, there is no extinguishing system for a wheel-well fire. (Suggest extend gear & land ASAP). The APU only has one bottle. 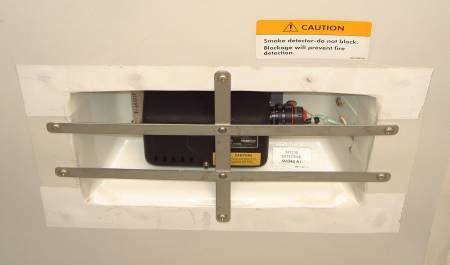 This may be checked externally by looking for the two discharge discs (red for thermal overpressure & yellow for extinguisher discharge) and the pressure sight glass (where fitted) on the aft stbd fuselage. 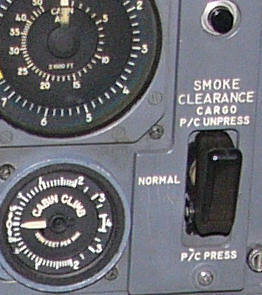 Some 737's have a warning light on the flight deck to warn of smoke in the lavatory. 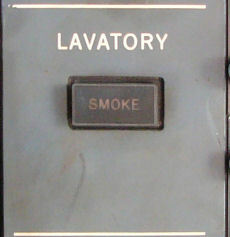 If the smoker is in the forward lav you can usually smell it on the flight deck within seconds without a warning light.